This Lapis Lazuli ring is made with an adjustable silver-plated ring bang, this statement ring will fit most US ring sizes from 5-9. There are a limited of these statement rings, so seize the day! 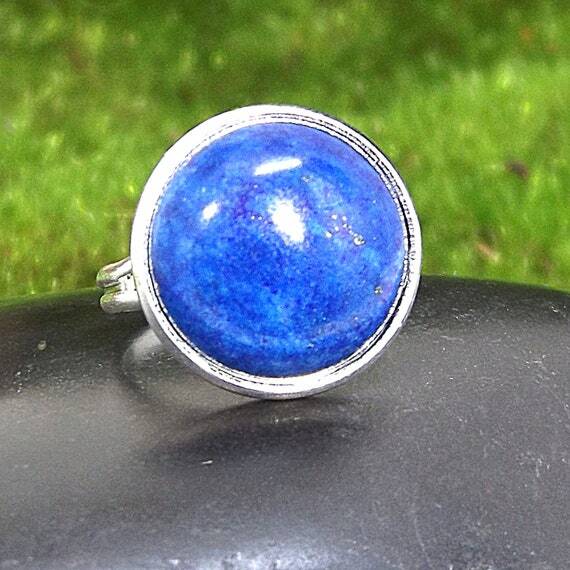 Open your new doors today when you buy this Lapis Lazuli ring! Eluna Jewelry offers affordable handmade gemstone jewelry. The gemstone used in this ring is cleansed, charged and finally smudged with sacred Nag Champa incense. The smudging releases any negative energy on the stones allowing positive energy to replace it so that the jewelry will be ready to wear.